A passion for different foods & flavors. The addiction of traveling the world and realizing what it truly means to feed someone. 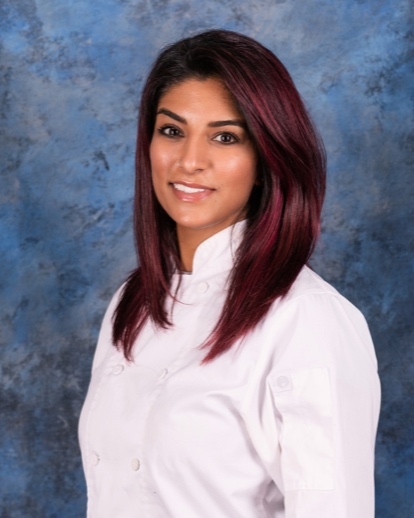 Owner and Chef, Beeta Mohajeri is originally from Calgary, Alberta Canada. She studied Biology at the University of Washington in Seattle, but quickly realized her passions lies within the culinary world. She is classically trained, later earning her second degree from Le Cordon Bleu College of Culinary Arts in Seattle . She trained under Chef Vincent Nattress on the beautiful Whidbey Island, where she learned the true roots of “Farm to table” at Culitvar Catering. She worked hand-in-hand with the local farmers, using produce harvested each morning. Creating an incredibly intimate experience for high-end clients on the Island. She later moved from Washington State to experience culinary on various levels and found herself at Commander’s Palace, one of the nations oldest running restaurants, also the winner of six James Beard Awards in New Orleans. Beeta has since relocated from New Orleans to Orange County, California as a Private Chef. She is cooking for high-profile clients in Beverly Hills, Newport & Laguna and is growing PopCultivate as her passion project.